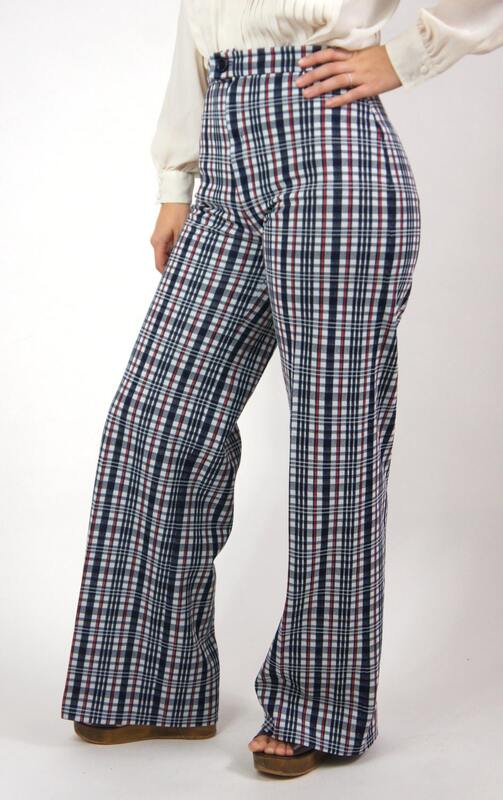 The perfect pair of elephant leg bell bottom pants. Polyester. Very high waisted. 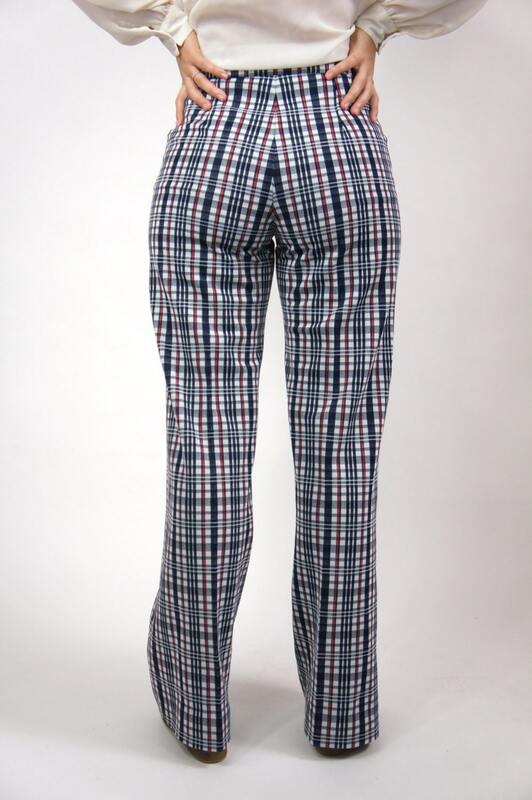 Checkered pattern of navy white and red. Zipper has minor unthreading as pictured.